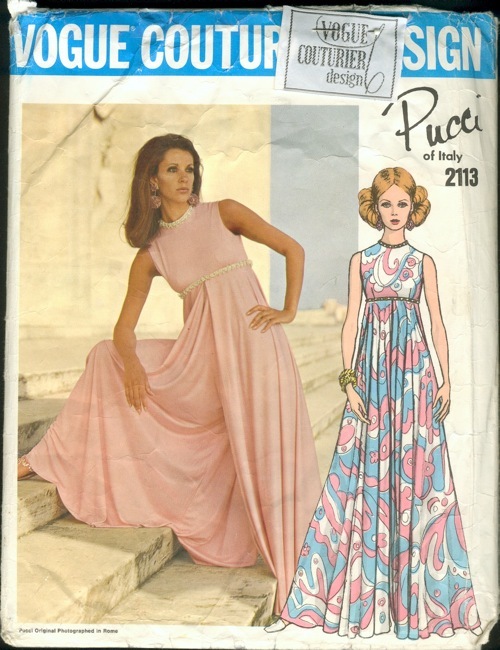 I've been going through literally thousands of sewing patterns, preparing, once again, to move. In August, in a period of three weeks, all three of my birds will fly out of the nest. Oye vay! They're not all supposed to do this at the same time, but they don't seem to care, and off they go: the oldest to seek adventures in another state, the middle one to grad school in Florida, and the youngest to his revered Butler University, where he's wanted to go since he was a wee tot. And so it is that my house is just suddenly going to be way too big. I've decided that I don't want to move ALL of the patterns this time, so I'm downsizing. To give you some sort of idea just how many I have, I have thus far packed up 71 printer paper boxes stuffed to the brim, 12 egg boxes, and have at least a couple thousand more to pack up. And that's just the ones I'm offloading! I have tons of great ones to keep (and sell). I would think that that fabric is pretty scratchy, but the listing says it's soft. I can see this on Megan, on Mad Men. 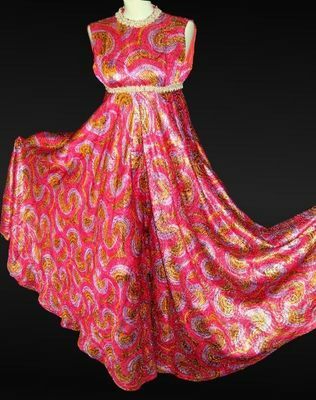 I wonder if the buyer realized it's made from a Pucci pattern. This kind of find gives me life. Back to packing. And I've been listing some patterns on the Ooh La La Vintage Swap and Sell Facebook site, as well. If you love vintage, check it out -- things go VERY quickly there, but wow, do they show some spectacular stuff.